The Amazon has always fascinated me a green and lush landscape with interesting creatures lurking in the bushes. It is a dream that has come true. 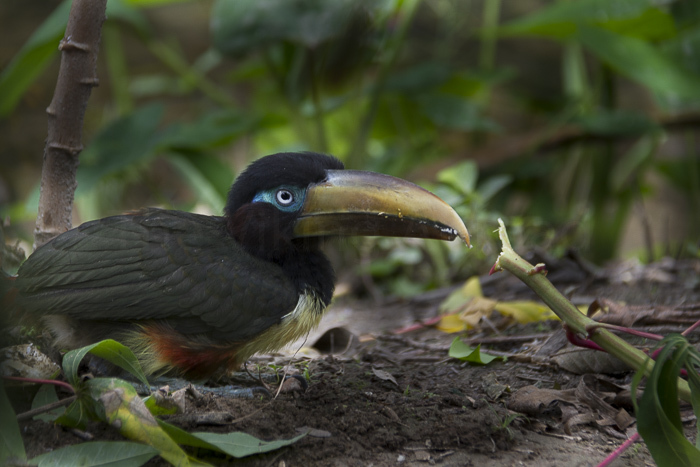 Visiting Mishaualli in the Ecuadorian Amazon is a dream come true. For me, as a Norwegian, the jungle is something I heard about and watched on tv. The Amazon has always fascinated me a green and lush landscape with interesting creatures lurking in the bushes. A few weeks ago I got the chance to go there with my boyfriend for a long weekend. Miashualli is a small village at the of the Amazon region next to Napo river. Napo river reaches all the way to Peru. 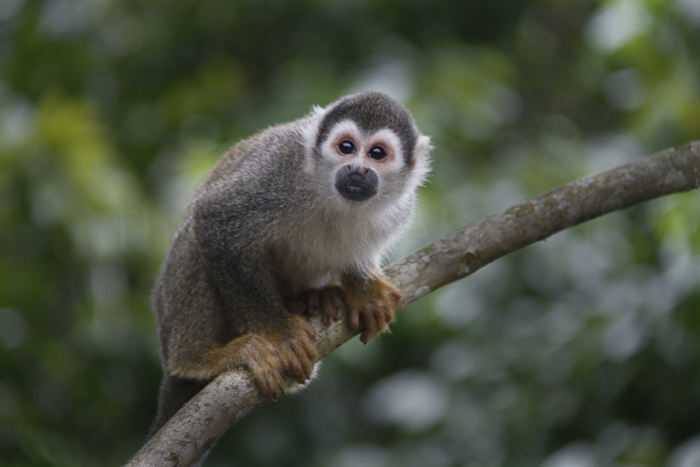 Misahualli is famous for the monkeys called Squirrel monkeys. Misahualli has become a tourist attraction for the last decades. 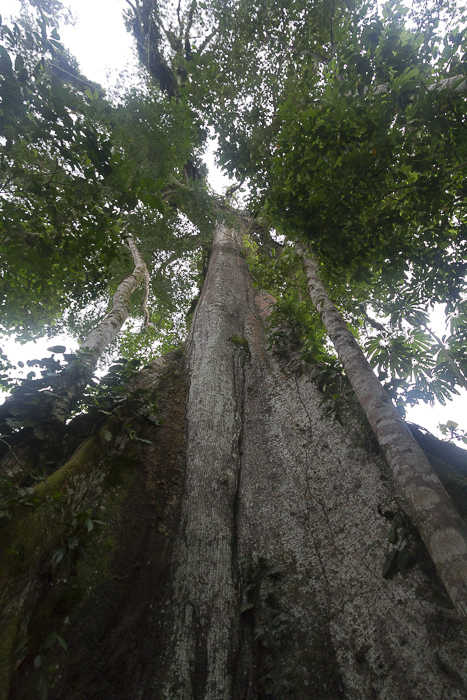 Just outside of Misahualli we saw this huge tree, that is said to be over 1000 years! You feel quite small standing under that one! 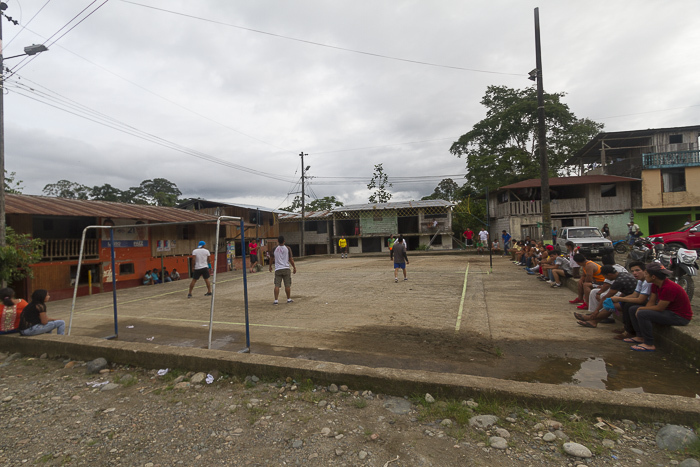 A taste of what the youth does in Misahualli, they play football and hang out as everywhere else. It is not true that everyone that everyone who lives in the jungle lives like the tribes and hunts animals with self-made spears. Tena is the capital of the Napo province and is known as the Cinnamon capital of Ecuador and is a great attraction for going kayaking and rafting. 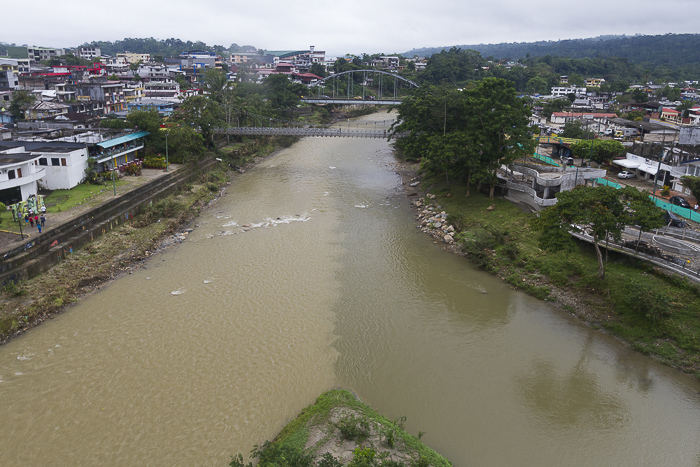 During rain season the water turns brown and this is a spot where two rivers (Tena and Pano) meet. This is truly something remarkable to see. We visited Parque Amazonico la Isla, which sadly got washed out in the river and many of the animals died. 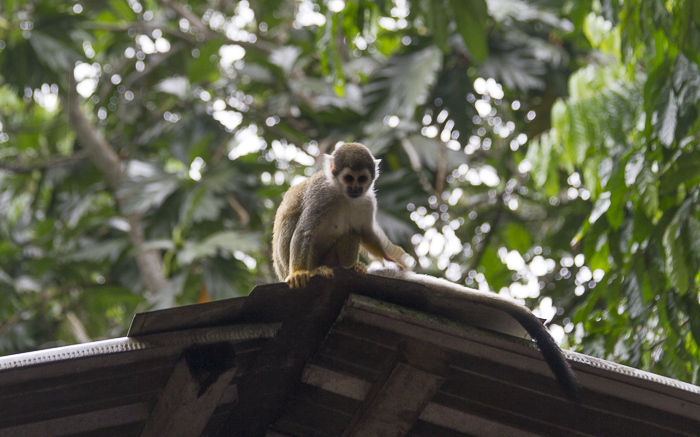 The ones that survived was the squirrel monkeys and the birds. 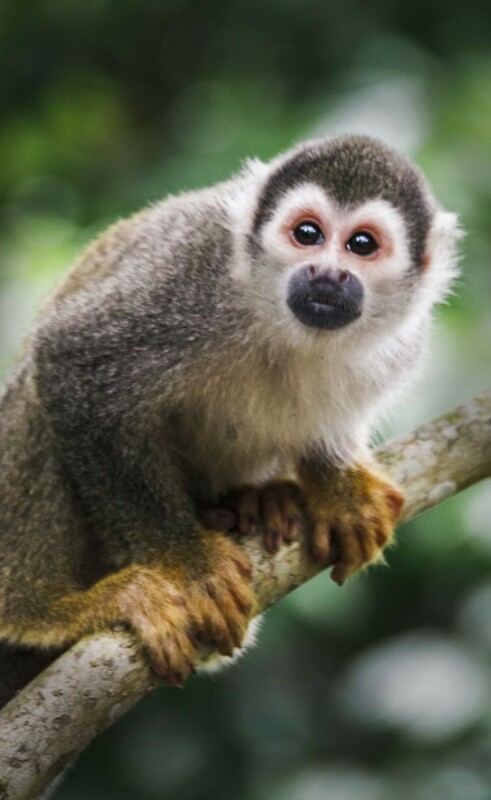 The Squirrel monkeys are hilarious and naughty. 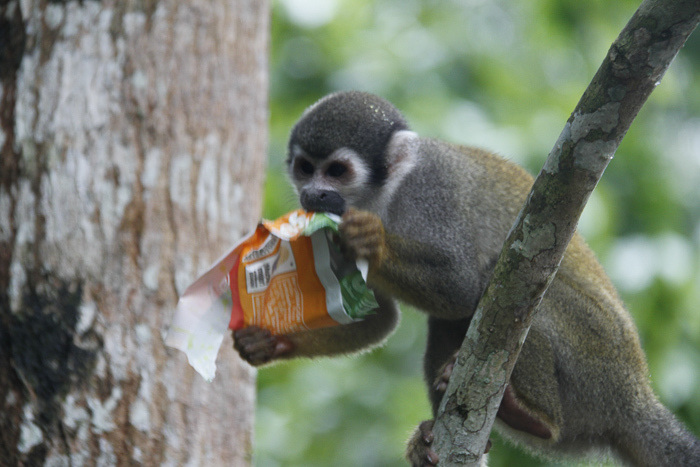 Be careful with your belongings when seeing these monkeys, they are known to steal whatever you have, especially food. It is not recommended to give them food, but if you do they will eat it if they like it. If they don’t they will throw it away. To be able to get to visit the communities and go kayaking you can just go down towards the river in Misahualli and people will offer you a one hour or two-hour tour deal. 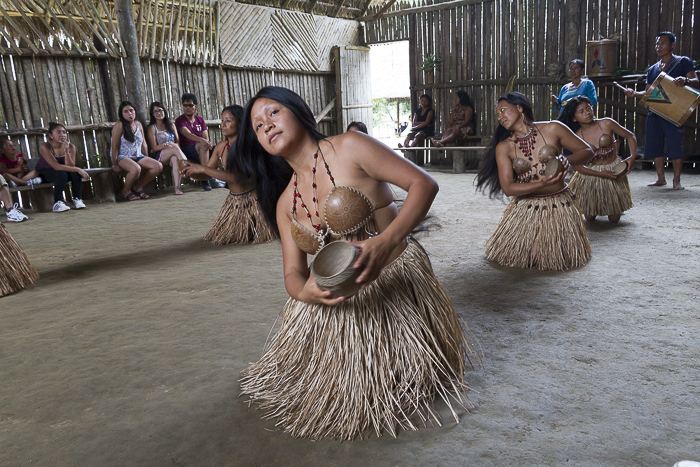 We got the opportunity to travel on a boat on Napo river and visit a local community called Ayllu Awarina. I felt quite touristy when I posed in a photo like this, but then again it is a way they earn a living. The community had a traditional dance for us wearing traditional clothing and using traditional instruments. They prepared a drink called Chicha made out of Yuca which they made us taste. Yuca can remind you of a potato and you can also make fries out of Yuca. We were surrounded by interesting animals like this lurking under the bush. 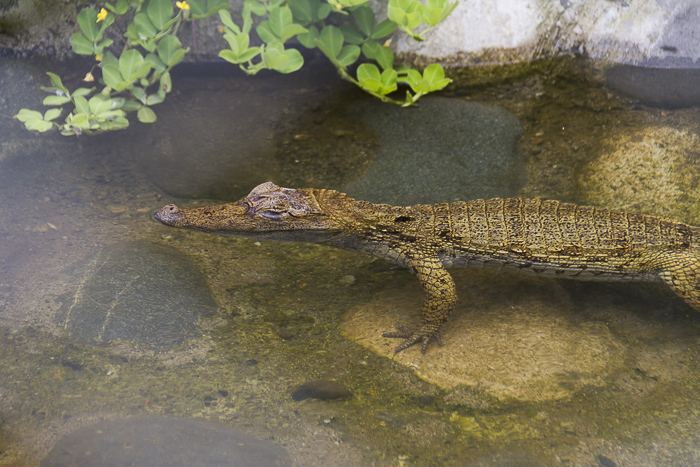 You can’t go to the Amazon without spotting a crocodile, luckily it was not in the river but sheltered and out of danger. 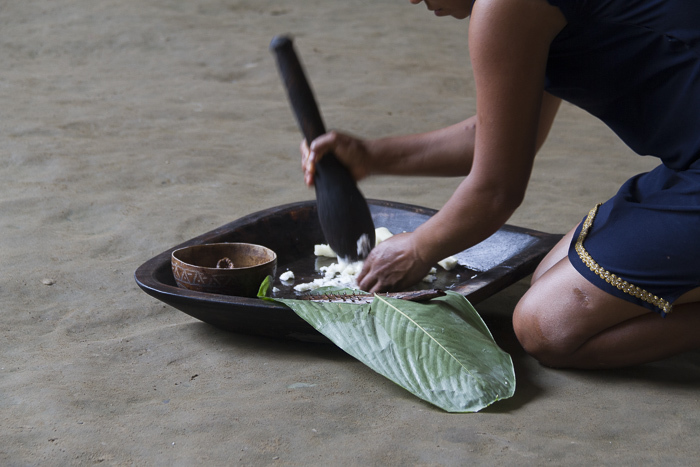 Tena or/and Mishaualli is a great stopover on the way further into the Amazon like Yasuni or Cuyabeno and you will be a little more prepared for how it is in the Amazon than go straight into the middle of the Amazon. Have you experienced the Amazon what di you like about it? If Not where would you like to go? 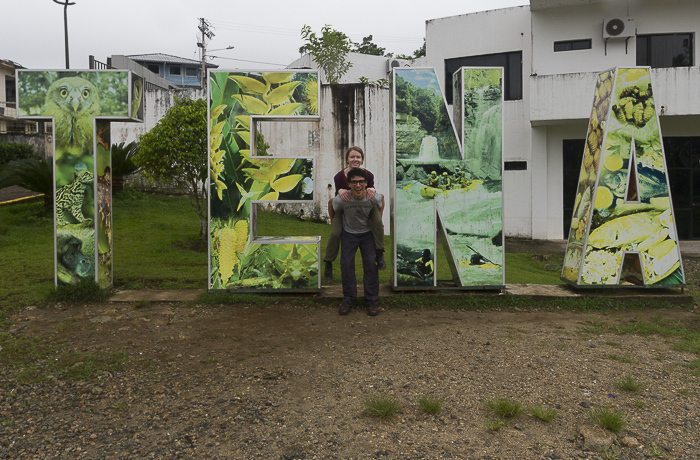 I visited Tena and the Amazon in Ecuador in the previous December! I stayed at Shiripuno lodge! I loved it! We went tubing down the Napo river, it was an amazing experience that I wont forget. I didn’t see a crocodile, but I am sure glad that they stayed away while tubing! I love your photos! Omgoodness the little monkeys 💕💕 love all the lush green backdrops. 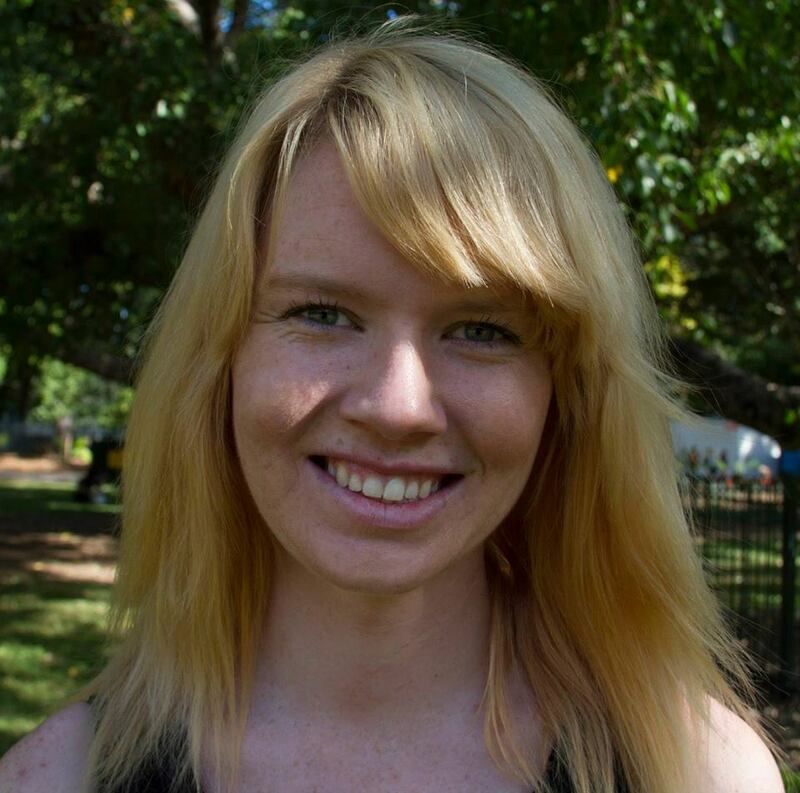 Great post, thank you for sharing ! I’m always amazed how different people can live their lives, from living in big cities to living in a jungle. Stunning photos that really give a sense of the culture. Got to love the monkeys too! Wow look at those people’s outfits! I am always fascinated about meeting different tribes. And thank you for this, I will also put Amazon in my bucket list! Your photos are lovely too. What an amazing experience! When I was little, it was my dream to visit the Amazon but I’m a little scared of all of the critters there! I’ve heard about monkeys like that stealing from tourists in other countries as well but they are so cute! Looks very special there and seeing that dance must have been wonderful!